What's an Employer Brand, and Why is it Important? Do you think branding is something best left to marketing? That's what most people think of when they hear "branding." They picture logos and slogans and advertisements. And they're correct. Branding is those things and more. It also branches out to include how a company's products or services perform, how the company presents themselves online and in the community, all the way down to how employees behave themselves in public. Each company's brand is how they're perceived by the public. Shaping and managing that corporate brand might be the most important thing marketing does. But marketing isn't the only one molding a brand. HR and management are in charge of a brand that's just as important. It's your brand as an employer. It's the way you treat employees and their work, and how significant the typical worker is in the bigger picture of corporate goals. Just like marketing, managing an employer brand is an ongoing challenge. This article will identify why it's important, and some considerations every HR pro needs to keep in mind when it comes to how they want their company to be perceived by employees and potential recruits. Your employees have expectations of who they're working for and what's in it for them. Those are set by the employer brand. Similarly, prospective employees are drawn to certain cultures, probably even more than particular industries. Your employer brand provides a framework of expectations and behaviors that either contributes to or detracts from the company's overall goals. On our loyalty blog we talk about the importance of each engagement customers have with a brand. Every interaction will either reinforce or detract from their decision to associate with a brand. The same model applies to employees. If a company is known to be employee-centric and cautious, then suddenly lays off a quarter of the staff, that's going to change employee expectations and dilute the brand. If employees are promised great benefits and corporate perks, but then get costly health coverage and a ghetto free discount program, it's going to build distrust and hurt the brand. It's important to have a clear brand and, as a company and leadership, do whatever you can to live up to it (or improve it). That's a big challenge because brands are set as much by the public as they are the creators. But there are steps you can take to identify and alter your brand. Check out this list of brand characteristics, most of which can be changed with a little help from management and smart hiring. Ethical standards vs results at any cost - Does your company play by the rules or measure success only by end results? Short-term revenue vs Long-term revenue - Does your company pursue long-term customer relationships or simply aim for the most transactions? A wide range of benefits and perks vs a standard selection of benefits - Do you have unique perks? Or just a standard assortment of benefits? Regular raises vs merit increases - Is compensation regularly increased, or are raises handed out based strictly on accomplishment? Work/life balance vs "always on" working - Does your company encourage employees to unplug, or are they expected to be available at all times? Layoffs vs taking losses - When finances are scarce, are employees at risk or does the company absorb losses elsewhere? Free-spending vs penny pinching - Does your company make sure employees have access to the best tools and information possible, at whatever cost? Or does your company try to get by with minimal spending, even if it hurts productivity and effectiveness? Executives who keep their distance vs hands-on leadership - Is your top leadership out and active among the employees, or do they stick to corner offices and executive peers? Formal vs casual - What's your dress code? And, do you have policies on how employees address each other and superiors? Do you have rules around how your meetings are run or emails are handled? Teamwork vs cutthroat - Are employees encouraged to work together, or do you encourage competition even at the expense of camaraderie? Promote from within vs hire superstars - Do you have internal career options for longtime employees or does your company look outside to fill new positions? Culture vs ability - does your company hire the best fit for your culture, or simply the person with the best ability? Once in the company, which of those is rewarded and recognized more? What side of each of these does your company fall on? Where do you wish you could be? Any changes must begin with leadership and managers, and changing expectations must be communicated clearly to employees. Shifting your brand isn't easy and may require some turnover - which itself will affect your brand. But over time, every employer brand can be altered. There's No Right or Wrong - Just be as Advertised! It's important to point out that with most of these options we mentioned above, there isn't a right or wrong side to be on. Every company would love to be considered ethical and get by with a laid-back approach, but those companies tend to be less profitable. For every admirable success in that profile there are 1,000 businesses that tanked. Meanwhile, a lot of hard-charging, profit-driven companies rake in billions. They hire and fire and layoff at will, but employees know what they're getting into most of the time. The big key is this: own your brand. Whatever it is, be honest about it. If you want superstars that will come in and get the job done at any cost, market yourself that way. If your executives are quick to turn to layoffs, you have to be upfront about it to potential employees. The employee looking for a "learn and grow" culture is going to get clobbered in a cutthroat company. Even reading through their cover letter is a waste of your time. We're not saying to take out ads promoting your company as a slaughterhouse. Just set clear expectations in your job descriptions and interviews. Otherwise you risk a lot of wasted effort and active disengagement. Once your employer brand is clear, you can attract employees that want to be part of a brand like that. And whatever that brand may be, there'll be people drawn to it. Even if it's high-intensity and high-pressure. As long that also comes with high-earning potential, you'll get prospects. The same goes for low-intensity and low-pressure, even with earning potential that isn't so great. There are plenty of people who would be happy to take home less if they could enjoy what they do. The end result of crafting and owning your brand is the best part. 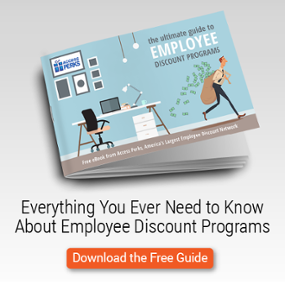 You'll have far less turnover (if that's what you desire) and a far more engaged workforce. Both of those are pathways to better revenue and satisfied customers, regardless of where your brand stands.